This post is going to be one big rant. I can’t help it; I need to get this out. I’ve just read one of the most ridiculous articles ever by Ruth Graham of Slate. The title of the article is “Against YA: Adults should be embarrassed to read children’s books.” That title alone should let you know how I feel about it. Let’s break down this holier-than-thou article. 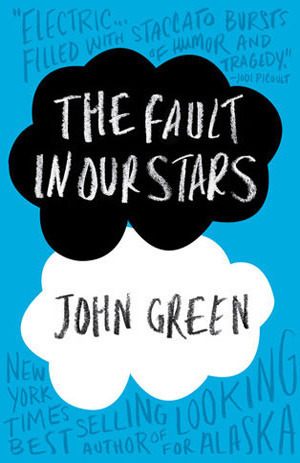 So right away the author starts off with TFIOS. Of course she does. This is clearly an attention-seeking article and its main goal is to garner clicks. What better way to do that than hone in on the most popular book/movie at the moment? So she admits to thinking the novel is good but she is embarrassed to read it because it’s geared towards teenagers. The author spends a lot of time on what the definition of an “adult” is compared to a teenager. One of the things I’ve enjoyed the most about getting older is that I stopped caring so much about what other people thought of me. I like what I like without having to defend myself or feel ashamed. It’s sad that the author hasn’t gained that confidence in herself. And? I think in the end of the day, reading is supposed to be pleasurable. I’m all for readers broadening their horizons and checking out different things that are out there. However, plenty of people use reading as a way to escape from everyday life. When your weeks are spent working, going to the gym, taking care of kids, cooking, cleaning, and a million other things, sometimes all you’re looking for from books, movies, or TV is to escape. Because an adult likes to spend an hour or so reading something purely for entertainment, you’re somehow better than her? This was the part of the article that I had the biggest problem with. For starters, the author should really take a look at The Spectacular Now by Tim Tharp. If you’re going to take down an entire genre of literature and label it as being one way, you should fully know what you’re talking about. The Spectacular Now had one of the most ambiguous endings to a novel I’ve ever read, YA or “adult”. Also, if she wants to stick by this argument, should we stop reading Jane Austen completely? The endings to her novels are anything but satisfying. Fellow grown-ups, at the risk of sounding snobbish and joyless and old, we are better than this. I know, I know: Live and let read. Wait, so you don’t want to sound snobbish and joyless and old? Sorry to break it to you but that’s exactly how you’ve come across this entire article. A few months ago I read the very literary novel Submergence, which ends with a death so shattering it’s been rattling around in my head ever since. But it also offers so much more: Weird facts, astonishing sentences, deeply unfamiliar (to me) characters, and big ideas about time and space and science and love. I’ve also gotten purer plot-based highs recently from books by Charles Dickens and Edith Wharton, whose age and canonhood have not stopped them from feeling fresh, true, and surprising. Life is so short, and the list of truly great books for adults is so long. This is the one and only time she addresses novels that us “adults” should be reading instead of John Green. So tell me, since you’re the expert Ruth Graham, can I consider myself a self-respected adult since I’ve enjoyed Charles Dickens and Edith Wharton but also John Green and Suzanne Collins. Big ideas? The Giver is an amazing book with big ideas about life and the world. Should it just be dismissed as nonsense since it was geared towards a younger crowd? You should take your own advice when you say, “Life is so short.” It’s too short to care what other people think about what’s in your bookshelf. When I found out that there was going to be an entire convention dedicated to books, I was ecstatic. Book signings, giveaways, panel discussions! I didn’t have to think twice about going. It got even better when I was able to enter my job credentials and get a free press pass to go. I was all geared up and ready to head into the city bright and early Saturday morning. Quickly my excitement turned into aggravation and cries of “Why did I do this?” and “I just want to go home.” There were so many things wrong with your event. Some of them I cannot fault you with (the blame lies with the Javits Center) but plenty of the blame is your fault. I am going to start with the aspects of the event that plenty of attendees have complained about but you yourselves did not have any control over. The bathrooms were few and far between. When you finally did locate a bathroom, the line was at least 20 people long. That is the Javits Center for you. It’s a huge space and if you’re having a large convention or fair in NYC, this is the only place you want to be held. However, as far as convention centers go, it’s rather abysmal. Like I mentioned already, the bathroom situation is atrocious. There need to be more and they need to be easier to find. Aside from that, the Javits Center is in a crappy location with a 10-15 minute walk from the closest train station. There are no redeemable places to eat close by, which means most attendees are stuck getting something from the ridiculously overpriced food court. All of this really blows but none of it is BookCon’s fault. Again, if you are having a convention in NYC, it has to be held at the Javits Center. The place is HUGE! Which brings me to one of the areas where you guys really blew it! BookCon was packed! You guys were terribly ill-prepared for the crowds, which doesn’t really make sense to me. You guys sold tickets. Did you not keep track of how many tickets were being bought? How could you be so ill-prepared for the large crowd? The entire layout of the event made no sense to me. The autographing lines were set up right next to the booths. This made it difficult to A. figure out where the line started for autographs and B. check out some of the booths closest to the autograph area. Did you think only five people would want to get autographs from their favorite authors? The line situation in the entire place was horrible. There was absolutely no organization to anything and the staff was not very helpful. Whether it was staff from BookCon or staff from the Javits, it did not matter. No one seemed eager to help out and explain what was going on. Maybe they were all just as clueless as we were. There were never any actual lines formed, just mobs. And each person seemed to think they were standing in line for a different event. I myself, with a bunch of other people, waited in line for almost an hour to see the Stan Lee panel only to be told it was full at the last minute. I actually left way before the mob for The Fault in Our Stars panel started to form. I would have loved to see that but once I got a feel for how BookCon was, I didn’t even bother trying to attempt it. And judging by the many, many pictures and complaints I saw on social media, I’m glad that I didn’t stay. Whoever thought it was a good idea to not ticket this event from the very beginning is an idiot! I don’t want to be mean but it’s the truth. A signing for Cassandra Clare was ticketed but a panel with John Green talking about TFIOS and the film wasn’t? Where is the logic in that? A lot has been said about the problems with diversity in BookCon and I wholeheartedly agree with everything. I feel as though you guys browsed through Tumblr, took the most discussed books, contacted only those authors, and called it a day. Now hear me out. I love my Young Adult. The Fault in Our Stars, Divergent, The Hunger Games. I’ve read it all and enjoyed them all. Well most of them anyway. Definitely have those authors there because they will naturally draw a big crowd and a lot of attention. However, they should not be the only things offered! You guys really dropped the ball on this one for so many reasons. Don’t pretend you were catering to readers. You weren’t. You were catering to the Tumblr, fangirl crowd. And you were also assuming that this crowd is close-minded and not open to new genres of literature. There is so much more to books than white authors who write about dystopia or teen angst! Please, showcase more of these authors next year! Both to draw in more book lovers and to expose young readers to other types of books. That’s what BookCon should be about. While it was a wonderful concept, the execution could have been a lot better. For next year, I say hire a more respectful, organized staff, make use of the GIANT venue your event is being held in, and showcase authors from all genres. If you can do that, that I’ll be happy to attend your event next year, and plenty of years after that. *For those you who may not have heard of BookCon before, you can find out about the event here. After being dumped by the 19th Katherine that he’s dated, Colin Singleton decides that he needs to make a change. He heads off on a road trip with his best friend Hassan. They wind up stopping at a small town in Tennessee after seeing a sign advertising the burial place of an Austro-Hungarian archduke, someone Colin remembers reading about once. There they meet Lindsey, the cashier of the general store and tour guide of the archduke’s resting place. After meeting Lindsey’s mother and being offered a job, Colin and Hassan decide to stay in Tennessee for the duration of the summer. While there, Colin dedicates most of his time trying to figure out why he has found himself being dumped 19 times. And every time by a girl named Katherine. But he may found out that there is no scientific answer to this problem. It is just life which is unpredictable. Even as an infant, it was obvious that there was something different about January. She constantly required stimulation and it only got worse as she got older. She needed hours of activity before being able to sleep, would become aggressive if she couldn’t get her own way, and had difficulty interacting with other children her own age. January had multiple imaginary friend who she seemed to believe truly existed. Throughout time her behavior becomes increasingly more aggressive and violent, often hitting her parents to the point of bleeding. Eventually her parents have no choice but to take her to see a psychiatrist, who seemed to be baffled by January’s behavior and cannot give a precise diagnosis. January’s parents believe that their child is suffering from a severe case of schizophrenia – a diagnosis which the doctors are reluctant to give out. January First is written by January’s father Michael Schofield. It tells the story of his journey to try to save his daughter from her own mind. Hazel Grace has been suffering from cancer for years. Despite undergoing a medical procedure that has bought her valuable years, she is still terminal. No longer attending school, she spends most of her days at home with her parents watching reality TV. Her only outlet is a weekly Cancer Kid Support Group she goes to even though she dreads going most of the time. That is until one day she meets Augustus Waters at the Group. Augustus, who is in remission, shows Hazel that she is so much more than her illness. What I Was Thinking Before I Started Reading: I keep hearing so much about this book, I need to finally read it. What I Was Thinking in the Middle of Reading: OK, seriously this is not normal. I am hyperventilating over here from crying. What I Was Thinking When I Finished Reading: You know when people say they want to crawl up inside a book and live there forever? This is what they are talking about. When high schooler Hannah Baker committed suicide, most of her teachers and classmates had no idea what brought on this tragedy. One student particularly struggling with the ordeal was Clay Jensen. Clay admired Hannah mostly from afar, although they did interact at their job in the movie theater and at a party just a few days before Hannah killed herself. While Hannah did not leave a suicide note, she left something even more valuable to explain why she did what she did. Once she had made up her mind, Hannah recorded a series of thirteen tapes. Each tape is addressed to a different student in the school, with one going to a teacher. When Clay receives the tapes, he goes through a series of emotions and discoveries, including who Hannah really was and the role he may have played in her suicide. What I Was Thinking Before I Started Reading: This sounds like a pretty awesome premise for a book and will possibly make me cry. Also, I know people who have read it and they loved it. I’m excited for this. What I Was Thinking in the Middle of Reading: I don’t understand what this author wants. Are we supposed to empathize with Hannah or is it OK that we dislike her? What I Was Thinking When I Was Finished Reading: Well that had the potential to be SO much better. Identical twins Kate and Violet were born with special a “sense” – they had psychic abilities that allowed them to see certain future events and see other people’s secrets. 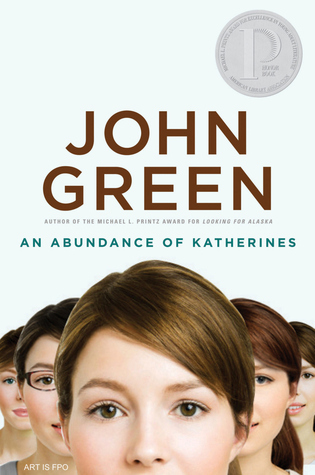 After being shunned in junior high school for revealing her powers to one of the popular girls, Kate decides that her powers are more a curse than a blessing. While her sister Violet embraces her psychic abilities, Kate does everything in her power to destroy them. Years later, Kate is happily married with two kids. She thought she had completely moved on from her past, but everything is brought back to the surface when Violet makes a public prediction that an earthquake will hit their hometown of St. Louis sometime in the near future. Kate struggles with reconnecting with her abilities and her sister while also trying to protect her family from the backlash the prediction has resulted in. Enter your email address to follow this blog and become cool.